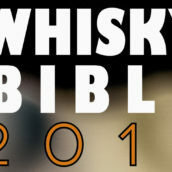 Home WHISKY & WHISKEY Whisky Events Whisky and Art? After an Olympic-sized hiatus, our regular tasting evenings finally returned to Vinopolis. 35 eager whisky enthusiasts filed into the newly refurbished “Boardroom” (featuring a new TV screen large enough to double as a ping-pong table) for a tasting experience quite different from anything we have previously presented. Tonight we were to be guinea pigs for an attempt to pair whisky with art, an idea formulated by Martine Nouet, renowned food and whisky journalist and Master Of The Quaich, and Martin Mitchell, an art and whisky journalist. 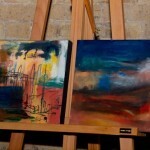 After meeting at an open art exhibition in Worthing and discovering they each share a sensory appreciation of art and whisky, a plan was hatched for a unique event where a flight of whiskies would be visually interpreted live by two artists. 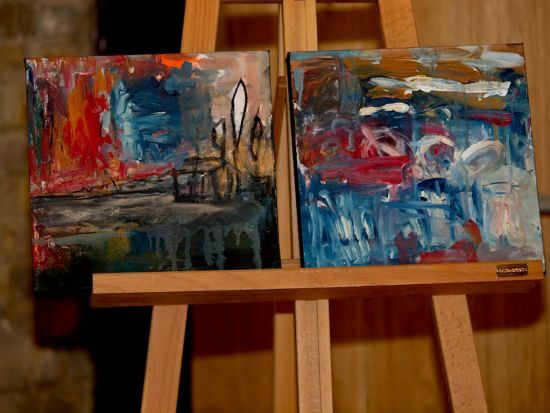 Both Martine and Martin admitted to some nerves prior to the tasting, unsure of whether the premise would work and how the audience would respond. Fortunately, there were a couple of elements that would ensure the night was success. 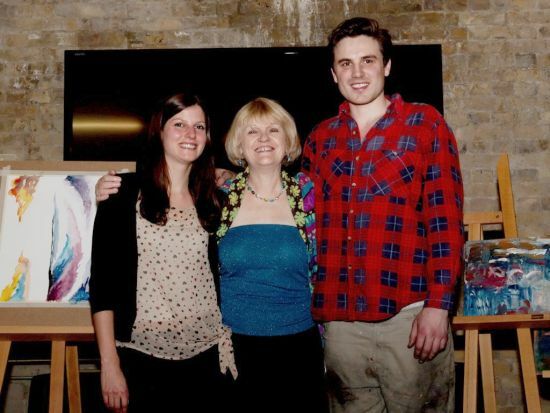 Firstly, we had two talented young artists – Silvie Wallington and Sam Mead. Silvie specialises in bold, vibrant marker work inspired by vintage European advertising art, while Sam is a mixed media artist with an interest in detailed pen and ink art. For our tasting, Silvie worked with watercolours, while Sam had a wild array of paints and crayons (and even some sand and pebbles sourced from Islay!). We also had Martine’s wonderful presenting style. 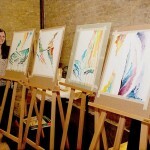 Her passion for whisky is infectious and her use of evocative imagery and emotion not only guided the work of the artists but also inspired something creative in everyone in the room, including myself (no small feat, considering I failed back to back years of art class in high school). 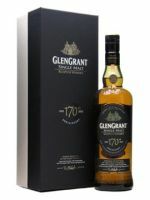 First up was the Glen Grant 170th Anniversary bottling. This Speyside distillery is known for releasing mostly young whiskies, usually no more than 10 years old. They rely heavily on the Italian market, where youthful whisky is generally preferred. 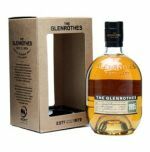 However, this special release bucks the trend by using carefully selected casks from the 1970s, 80s and 90s, mostly ex-bourbon but with a little ex-sherry in the mix. Martine spoke of it as a Spring whisky, conjuring images of a floral garden on a sunny morning. The invigorating and fresh whisky perfectly matched this scene – after some initial spiciness it revealed a nose of apples and pears, developing notes of honey and white flowers. There was freshly baked bread on the palate and more fruit notes, with white peach and banana giving way to pear on the silky finish. Following the Glen Grant we were transported to Islay for a taste of an old version of the Bunnahabhain 18 Year Old. 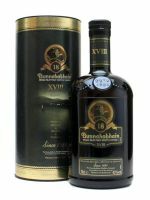 While most people will instantly associate Islay with peaty whisky, the Bunnahabhain style is generally unpeated, and the 18 Year Old uses approximately 40% ex-sherry casks. Martine again set the scene, describing a cold walk on a miserable wet day on Islay but with the mood changing on entering a warm house, greeted by the comforting aromas of a Christmas pudding cooking in the oven. The whisky reflected the cold and damp by showing some initial pungent mossy aromas, but dried fruits, spice and orange peel eventually emerge alongside big wood notes. They are also evident on the palate, which is quite soft, despite a gentle prickle from the alcohol. There are some sugar roasted nuts before a mushroomy and salty finish. 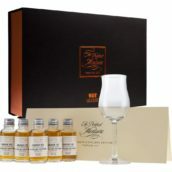 The third dram was the 1995 expression from The Glenrothes distillery in Speyside. The distillery sits in quite an atmospheric setting, built beside a graveyard where the curious ‘whisky fungus’ has turned the gravestones black. Martine asked us to imagine this scene on a golden autumn’s day. This was reflected in the whisky’s bright gold colour and aromas of pine forests and juicy oranges. We also picked up notes of butterscotch, ginger, sticky date pudding, and even some shellfish. The fresh orange character returns on the palate and after some toffee notes the palate becomes drier and earthier on a long, spicy finish. As we all removed the cover on our final glass the unmistakable smoky notes of an Islay whisky instantly filled the room. 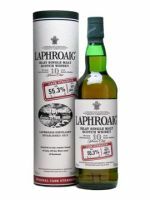 It was the Laphroaig 10 Year Old Cask Strength, bottled at a hefty 55.3%. 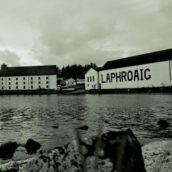 The intensely peaty Laphroaig spirit is matured in ex-bourbon casks and undergoes minimal filtration and no dilution. Martine described a walk on an Islay beach in summer, a coastal breeze carrying smells of seaweed and a beach bonfire. 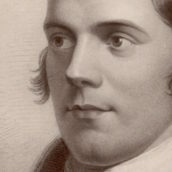 Those seaweed and smoky aromas were immediately evident in the whisky, with signature Laphroaig notes of bandages and TCP. This was complimented by sweet aromas of tinned peaches and slate pencil lollies [A strange Australian aniseed confection manufactured by the sugar paste extrusion method – Ed.]. Charred flavours initially dominated the palate but a couple of drops of water coaxed out the briny and medicinal notes. The long finish had some sweetness and minerality. A show of hands revealed this to be the most popular whisky of the night. 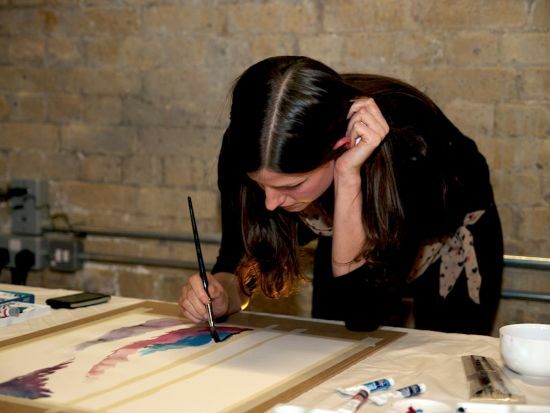 As we tasted, Silvie and Sam furiously worked at their canvases, and did an incredible job to produce four complete works of art in such a small amount of time. 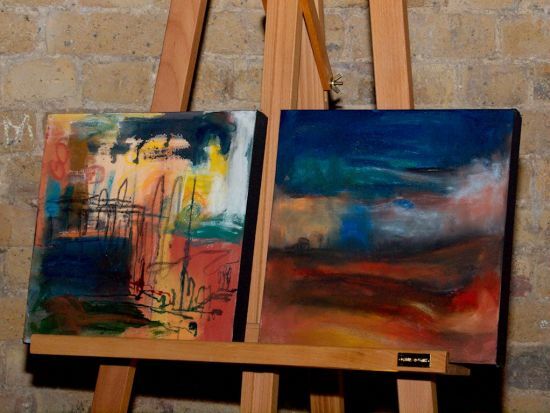 Sam, hands blackened with paint, described how he used the scenes described by Martine as inspiration for his intensely coloured painted canvases, each being a broad representation of the different moods conjured up by each scene. 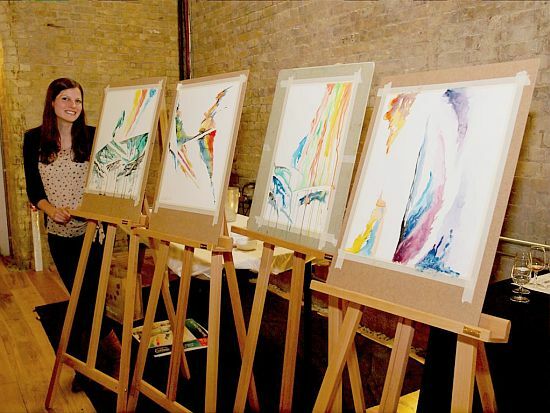 Silvie’s watercolour pieces drew inspiration from the words Martine used to describe each dram – such as the velvet texture of the Bruichladdich being represented by purple, and the complexity of the Glenrothes conveyed by using many deep colours. This was a tasting unlike any I had experienced been to before, replacing discussions about the science and mechanics behind the whisky with complete sensory exploration of the whisky. It was a refreshing approach to whisky tasting and captivated the audience’s attention. 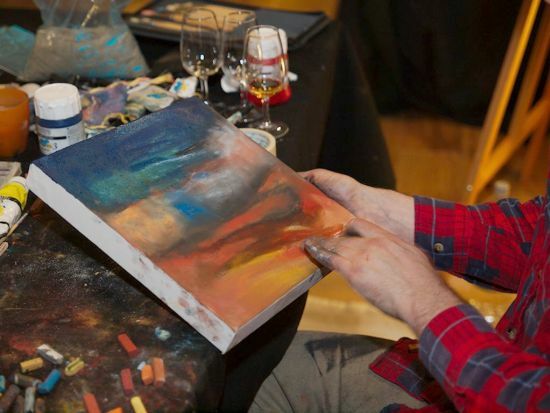 For each whisky, Silvie and Sam’s artwork was complimentary, but proved that whisky appreciation is personal in nature and a taste of a single dram can conjure up something different in each of us. 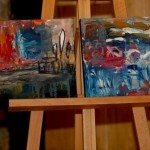 At the conclusion, each piece went on sale for £50 and all were quickly snapped up. 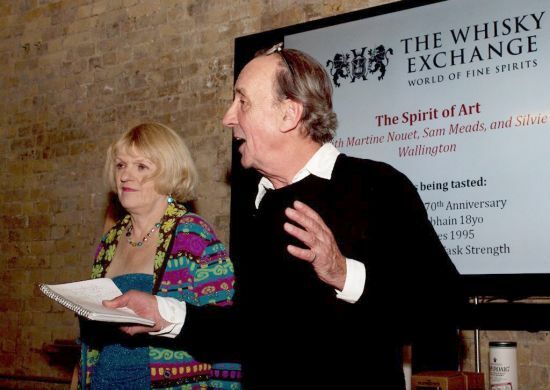 Both Martine and Martin were delighted with the positive reaction to the event, stating they were eager to attempt the experiment again in the future – watch this space.